After writing the heading for this topic I realized that this would have to be a book to justify the topic. There are vast amounts of research analyzing propulsion biomechanics and efficiency, ergonomics and function, and posture and comfort. This article will not be able to do it justice, and merely serve as a taster and mainly be focussing on manual wheelchairs. Unfortunately there is not a perfect wheelchair design, and I am not a wheelchair user so I cannot preach that I have first hand experience, however I can go through the theories of wheelchair design. The picture above shows a standard self propelling manual wheelchair only really used as an aid to mobility and not the person’s primary form of mobility. There are many models looking at assistive technology design. WHO’s ICF model of human functioning and disability can be used to attempt to address design criteria, where the user, user’s activities, health condition the environment etc. all have an affect on each other. These are integrated, and if one changes the others change too. As I have already mentioned, there is not one perfect wheelchair design. This is because there is always a compromise between function, propulsion efficiency and posture. Pushrim propulsion has known to cause upper extremity injuries. Thus a well fitted/designed manual wheelchair can help reduce the wear and tear on the shoulder. One of the main factors is the position of the axel in relation to the torso. There is evidence that a forward position of the rear wheel improves propulsion efficiency, reduces the force exerted on shoulder joints and helps improve the push frequency and stroke angle. However the more forward the position of the axel the more unstable the chair becomes. This is because the centre of gravity of the chair is altered making it more susceptible to tipping backwards. Cambered wheels allow for more lateral stability but widens the chair, restricting access. Wheel size (diameter and thickness) also has a large effect on propulsion and will have to be varied based on terrain and general size of the user. There are more aspects of a chair that can affect propulsion with lots of research available on to back it up. Function varies between users and is very much based on posture. If someone is having to concentrate to maintain a functional posture then this could cause fatigue, or on the other hand, too much support within a wheelchair could be too restrictive thus reducing function. Height of chairs might have an affect on transfers for chair to chair or chair to bed etc. Height could also have an affect on access under tables or reaching for items. Even though wheelchair setups affect function, other equipment around the person can adapted to help improve function and provide more abilities. Posture has a major effect on clinical and function. The general ideal is for a 90-90-90 seated posture. However, how often do people sit in this position? This position isn’t very functional either, and takes effort to maintain for long periods of time. The more active wheelchair users might prefer a closed hip angle to help maintain their seated position within the chair when propelling. Shorter backrests that only provide only an amount of lumbar support can also be preferred by the more active user as it allows for more freedom for rotation at the shoulder. If someone’s posture needs to be corrected or accommodated then the chair will have to incorporate more support (lateral supports, lumbar supports etc.) however this will make chairs heavier thus possibly reducing propelling abilities. Pressure relief within wheelchairs is normally the responsibility of the cushion, however posture has an affect as a scoliosis to one side will cause more pressure under one of the ischial tuberosities (sitting bone). 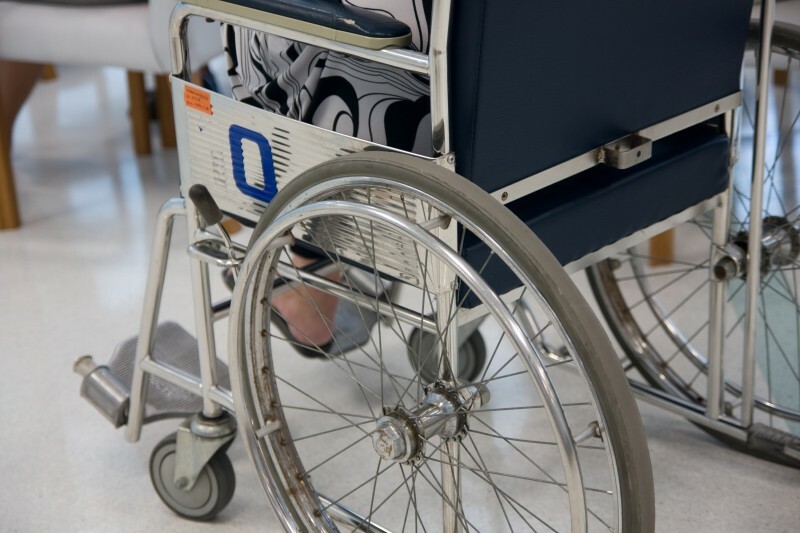 Most wheelchairs have adjustable footplates to allow for even distribution of pressure along the thighs and buttocks. Some chairs might be able to incorporate tilt-in-space, this allows for altering the angle of the body in space related to the ground, in theory this allows for redistribution of pressure off the sitting bones and more onto the back. However these mechanisms increase the weight of the chair. A lot more can be written about wheelchairs and design for posture, however most of it will affect function or propulsion. Trying satisfying all aspects of the WHO model in one design would be near impossible. In a nutshell, I don’t think you can design the perfect wheelchair. That’s why sports wheelchairs are different to everyday wheelchairs, which are different to supportive wheelchairs. Both Off the shelf and bespoke equipment needs to take into account the user’s activities of daily living and allow for adjustability. This is just a whistle stop of wheelchair design, and trying to justify the topic as a whole will fill a book. However I believe that wheelchair design and fitting it is a very individual process and a person’s lifestyle, posture and his/her activities needs to be taken into account.